Fall into the lap of luxury with automated angst! Feeling frustrated with the world? You could deal with it the old-fashioned way and scream yourself. Or, you can use our electronic Scream to scream for you. It’s a modern marvel! 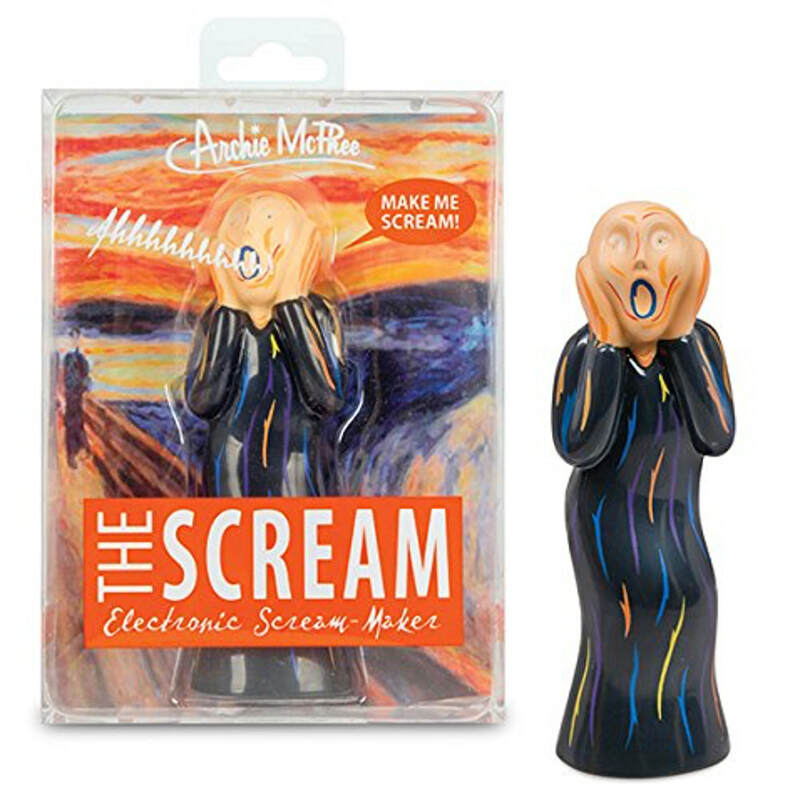 This 5-1/4” tall plastic version of Edvard Munch’s The Scream will release all your angst (reality-based or existential) with the touch of a button.